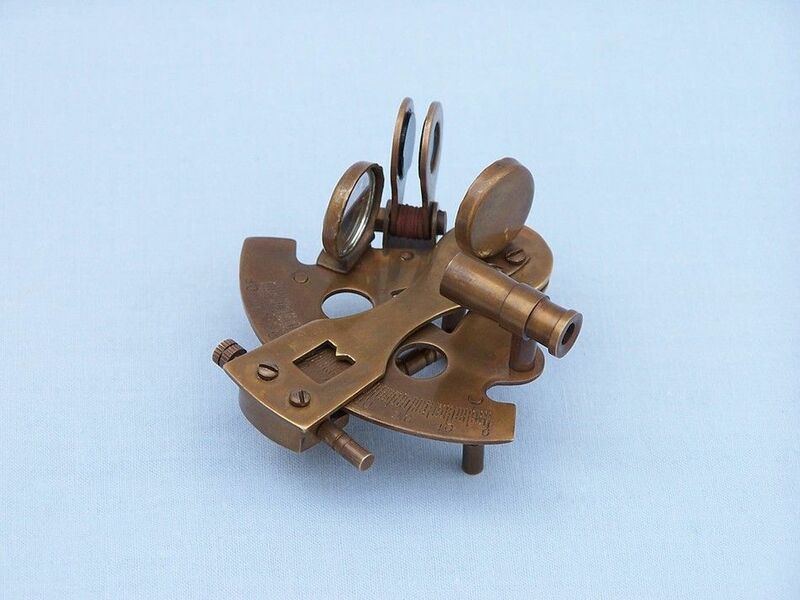 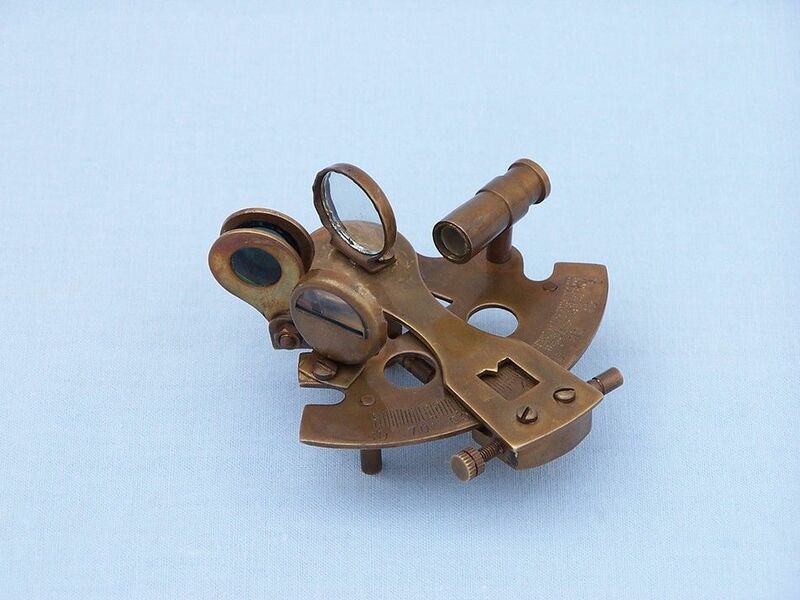 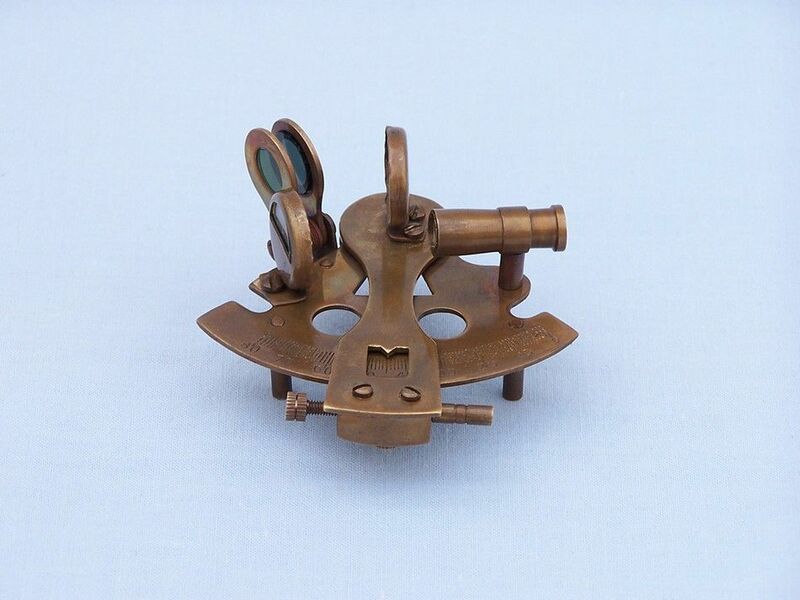 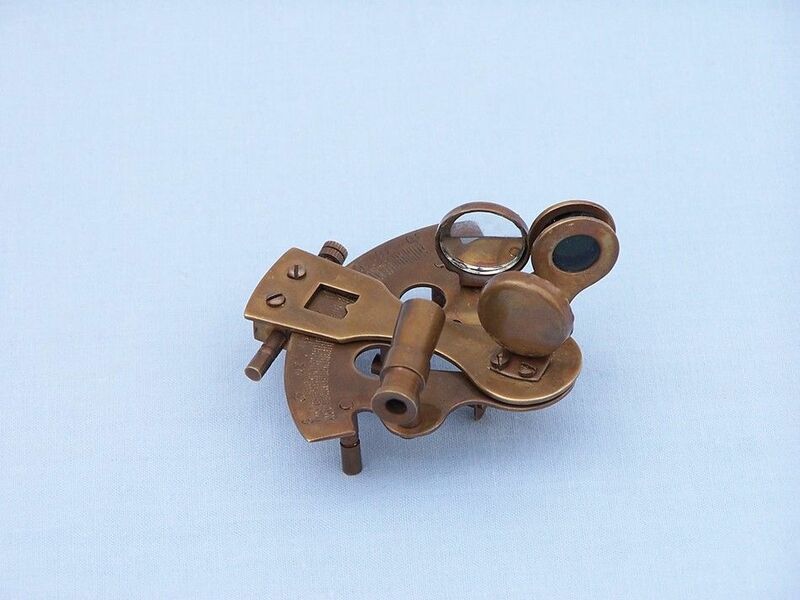 Antique Brass Decorative Sextant Paperweight 3"
This Hampton Nautical premium 3-inch radius Antique Brass Sextant Paperweight 3" is our finest miniature brass sextant. 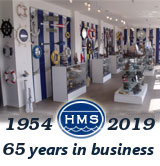 A beautiful desktop accessory, the sextant is a reproduction of a small lifeboat sextant used in emergencies for navigation. 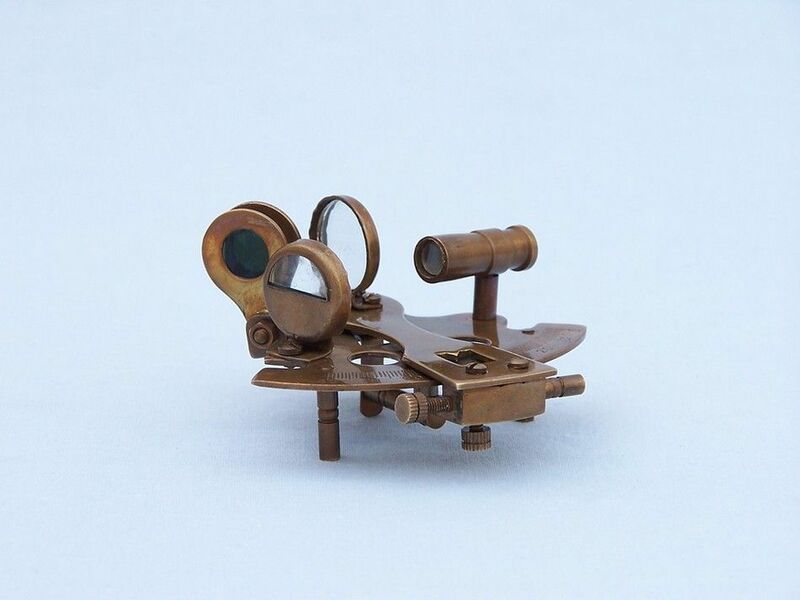 Despite it's small size, it is meticulously and precisely crafted from ssolid brass with an antique brass finish. 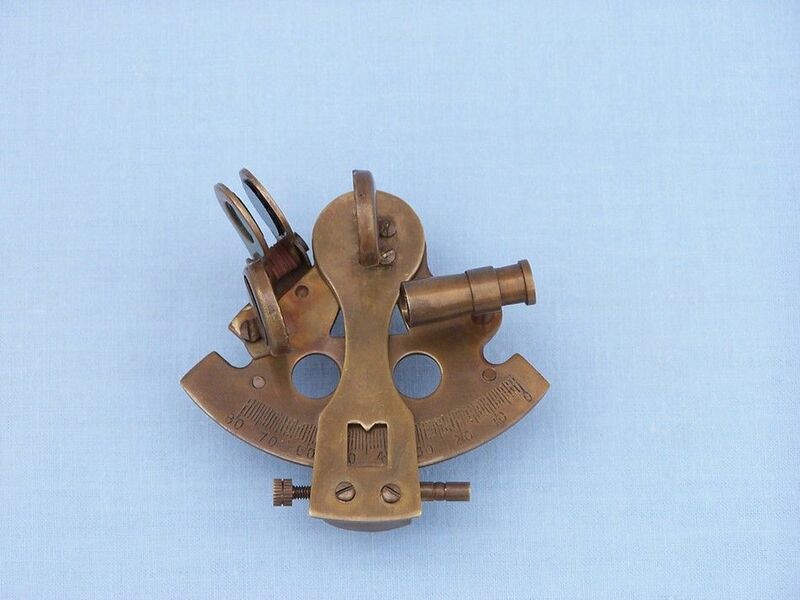 It has a gear-driven adjustment of the elevation angle and 'Hampton Nautical' engraved on the sextants limb.